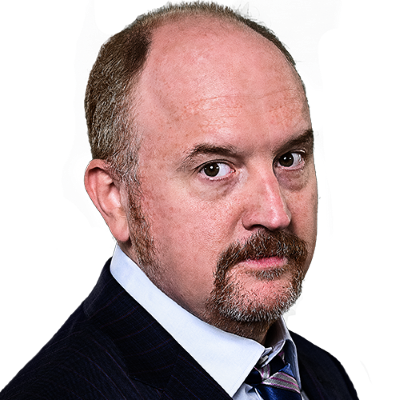 Louis CK's heckler: "He looked shell shocked" when I told him "get your d*ck out"
Klaire Randall just happened to be sitting in the audience with her boyfriend Sunday night at the Comedy Cellar when Louis CK took the stage. "The first thing I thought when they announced Louis’s name was was that it had to be a joke," Randall tells The Cut. "I was pissed off. I looked at my boyfriend and we had this moment of can we get up and leave right now, or do we sit through it and give this guy a chance? I had read the articles about C.K. and I’d read his apology but I hadn’t done a deep dive on it. I just knew it generally all seemed skeezy, and that it’s wrong for anyone who uses their power to make women feel uncomfortable." Randall says when she shouted at CK, "he looked shell-shocked. He looked directly at me, full eye contact and said ‘WHAT! ?’ I repeat myself like, 'get your f*cking d*ck out.' At that point, the crowd was jeering, there were a few boos coming from a few people. And before I knew it, a Cellar staff member came over at our table and put a hand on my boyfriend’s shoulder. He said 'you can’t heckle the comedians,' and motioned toward the door. We already wanted to leave, so were happy to stand up and walk out on our own." Randall says she doesn't regret calling him out: "All I could think at the time was that I wouldn’t be able to forgive myself if I had this opportunity to publicly call out an abuser to his face and I just quietly sat there," she says. "I was just thinking about every woman I know who has been sexually assaulted, sexually harassed or bullied in some way or another." ALSO: Randall says her Comedy Cellar exit "was not a forceful getting-kicked-out, but it was heavily implied."